C’e la luna mezz’o mare….Ah, Friday night pizza night again. While searching for Nemo (the big storm that’s hitting the Northeast, for those of you who haven’t heard about it) and hunkering down, I was searching for yet another gluten free pizza crust. Hunkering down for a storm gives me a chance to experiment with new recipes. 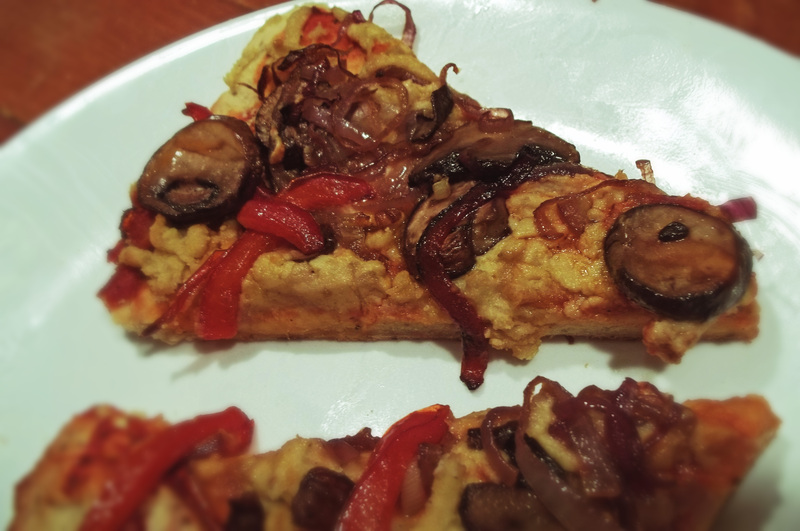 Hey, you have your hobbies and I have mine….I tried a new recipe for dairy free cheese, gluten free pizza crust, and dairy free parmesan cheese. It’s going to be a busy night of posting. This crust turned out pretty good. Still not a chewy crust like a traditional pizza, but I really don’t think that’s possible with gluten free pizza. But, I did like this crust. It wasn’t at all crumbly, which gluten free crusts tend to be. It was very tasty, just a little crusty on the edge and fluffy in the center. And, yes, I did use the dairy free cheese and dairy free parmesan cheese on top. Hope you give it a try. Enjoy! In a small bowl, combine water, olive oil, agave syrup, yeast, vinegar, and egg and mix well. Let stand for about 5 minutes until yeast is fluffy. Meanwhile, in a large mixing bowl, combine all dry ingredients. When yeast mixture is proofed, add to dry ingredients and mix well, for about 1-2 minutes. Grease a 14” pizza pan with olive oil. Spread the pizza dough onto oiled pan and let sit for about 30-40 minutes. Bake in a preheated 400º oven for 10 minutes. Top as desired. Bake for another 12 minutes until crust is golden brown. 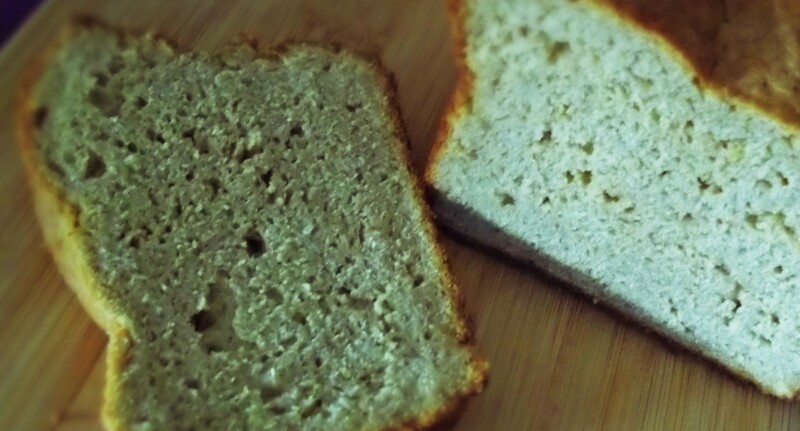 Makes 4 servings (2 slices each). This entry was posted in Gluten Free Baking, Gluten Free Cooking, Gluten Free Food, Searching For Gluten Free and tagged Dairy Free Cheese, Gluten Free Pizza. Bookmark the permalink.